On July 10, NASA's Juno spacecraft flew closer to Jupiter's famous "Great Red Spot" than ever before, capturing images of the ancient and gargantuan storm from only 5,600 miles away as it skimmed over the gas giant's cloud tops. This was Juno's first close encounter with Jupiter's most iconic feature, the 10,000-mile wide atmospheric gyre that has been raging near the planet's equator for at least a couple of centuries—and possibly much longer. In all that time, the Spot—large enough to encompass two or three planet Earths—has generated more questions than answers. Why has it lasted so long? How deep into Jupiter's thick atmosphere and gaseous depths do its roots plunge? What causes its namesake coloration? Why has it been slowly shrinking over past decades? It will take some time to analyze the flyby data collected by Juno's eight science instruments, so answers to questions like these won't come immediately, but the preliminary images are as tantalizing as they are stunning. 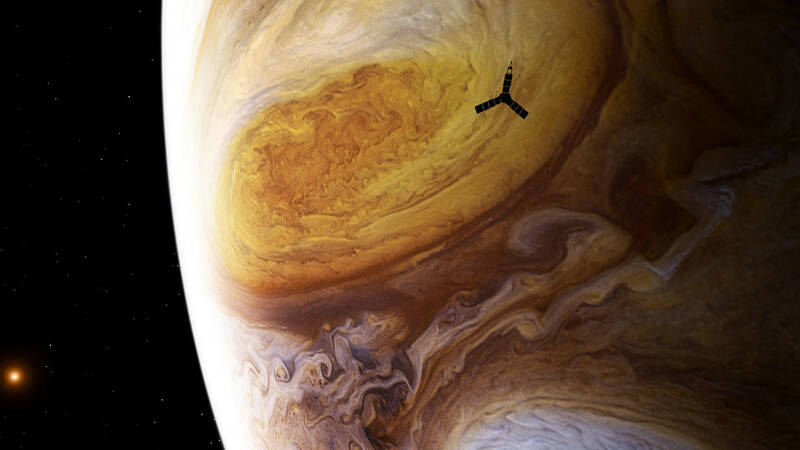 Since arriving at Jupiter a little over a year ago, the Juno mission has focused on other Jovian mysteries. Getting a close view of the Great Red Spot was somewhat of a bonus. We have long known that Jupiter is wrapped in clouds of ammonia, but microwave data from Juno has revealed an unexpectedly strong concentration of the stuff in a band around Jupiter's equator—not to mention other areas of the planet that appear to have little. The equatorial band of ammonia may also run very deep, perhaps reaching a depth of around 200 miles into Jupiter's interior—the distance between San Francisco and San Luis Obispo! These findings suggest weather systems based on ammonia, which circulate and concentrate the chemical in different areas and at different altitudes and depths, maybe like how Earth's weather systems transport and concentrate water. Imagine getting caught in a caustic rainstorm of eye-burning ammonia! Juno has also challenged earlier assumptions and models of the structure of Jupiter's interior. It was previously thought that Jupiter is made up of smooth, uniform layers beneath its outer patina of cloud systems. Older textbook illustrations usually show a thin outer layer of liquid hydrogen wrapped around a deeper, thicker layer of metallic hydrogen, all enclosing a solid core at the center. However, measurements of Jupiter's gravitational field, made by detecting tiny variations in Juno's altitude as it flies through gravitational "bumps in the road" along its orbit during close passes, have suggested that the layers within are not smooth global blankets, but are irregular—maybe warped and blobby envelopes, as opposed to smooth spherical shells. The "choppy" irregularity of the internal layers suggests that the nature of Jupiter's deep core may be different than previously thought. The core was assumed to be a solid sphere nested smoothly within the surrounding layers—like the yolk of a hard-boiled egg set within the egg white surrounded by the shell. 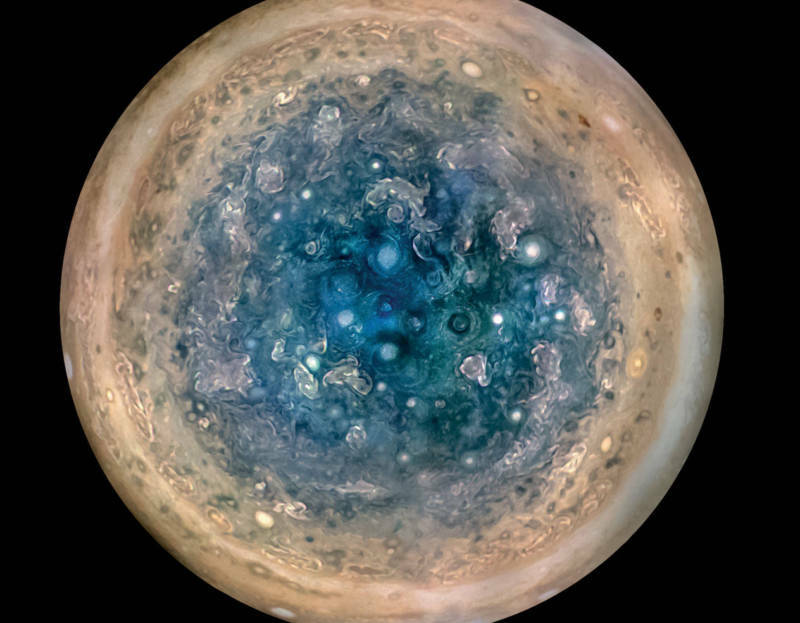 But Juno's findings hint that the core may be "sticky," or "fuzzy," interacting strongly with and agitating surrounding materials as the planet and its layers rotate. Think of how the blades of a blender interact with your raspberry smoothie…. And we have long known that Jupiter is surrounded by a powerful magnetic field, which emerges from inside the planet and extends far into the surrounding space. 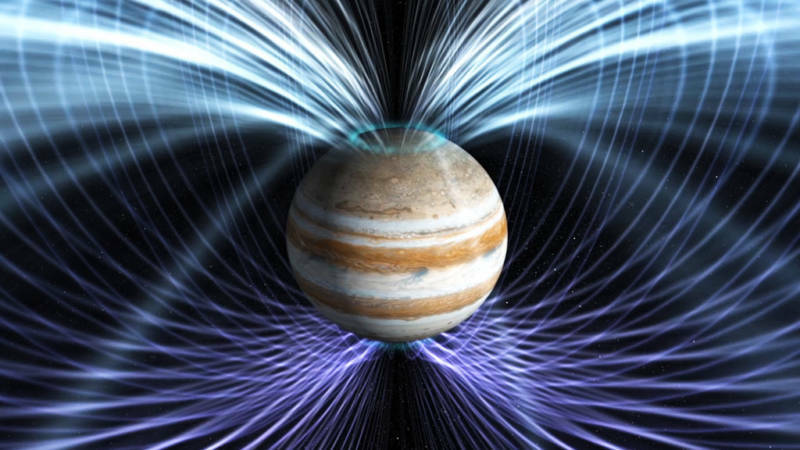 Earlier models explaining this magnetic field assumed it was generated deep within Jupiter, near its core, like the dynamo that drives Earth's magnetic field. But in Juno-fashion, this idea has been turned on its head. Not only is Jupiter's magnetic field much stronger than predicted before Juno's arrival, its shape—variations in the field across different regions—suggest its origin is much closer to Jupiter's surface, not deep within. The Great Red Spot is famous for being a storm that could swallow two or three planet Earths—and it is the biggest atmospheric gyration on Jupiter by far. But Juno has discovered many previously unseen cyclone systems—some up to the size of a single Earth, perhaps. These cyclones went unseen before Juno's arrival because they are located in Jupiter's polar region, which Juno specializes in. Juno orbits Jupiter once every 53 days, swinging along an elliptical path that carries it through a long, slow loop 5 million miles from the planet, then into a rapid plunge to within 2,600 miles of Jupiter's polar region. 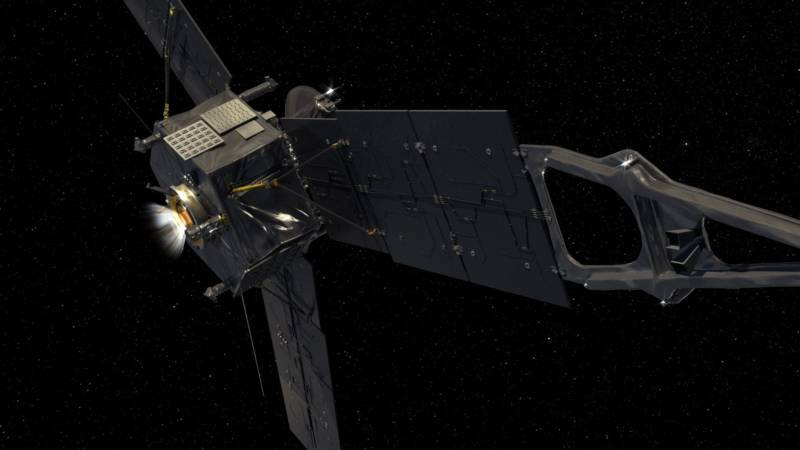 The orbit was designed to allow the spacecraft to spend as little time as possible within the intense radiation belts close to Jupiter, over concerns of the radiation damaging its sensitive instruments and electronics. The strategy seems to be working, for Juno appears to be in the pink of health. Ultimately, however, Juno's winding orbit will become a "death spiral," and the spacecraft will steer into Jupiter's atmosphere and burn up. This robot version of a Viking funeral has been done before. Juno's own predecessor, Galileo, met this end back in 1995, and Cassini is slated to crash and burn in Saturn's atmosphere this September. This disposal technique is carried out to prevent the spacecraft from crashing into a possibly life-bearing moon, like Europa or Enceladus, and contaminating it with any dormant Earth microbes they might be carrying. Juno's demise has been scheduled for February 2018, so we still have several months left to unravel Jupiter's mysteries—a good thing, since Jupiter has turned out to be far more mysterious than we ever thought!